The Embassy of Greece in Washington D.C. The remains of the walled city of Philippi lie at the foot of an acropolis in the region of Eastern Macedonia-Thrace, on the ancient route linking Europe and Asia, the Via Egnatia. Founded in 356 BC by the Macedonian King Philip II, the city developed as a “small Rome” with the establishment of the Roman Empire in the decades following the Battle of Philippi, in 42 BCE. Later the city became a center of the Christian faith following the visit of the Apostle Paul in 49-50 CE. The remains of its basilicas constitute an exceptional testimony to the early establishment of Christianity. 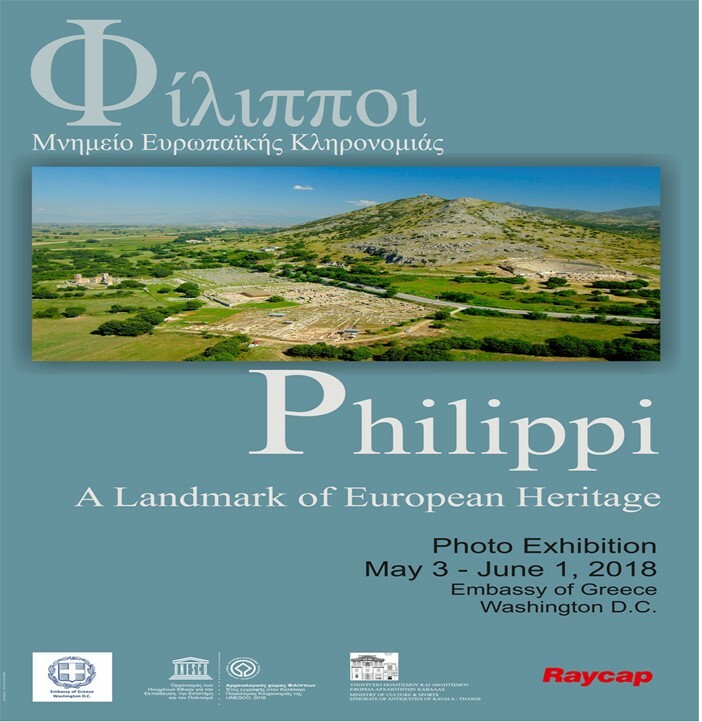 The Archaeological Site of Philippi, is included in UNESCO's list of World Heritage Monuments since 2016.